On the afternoon of July 27, 2008, close to 500 of the faithful filled Mother Angelica's Shrine in Alabama for the funeral of three aborted children who had been retrieved from a dumpster. This DVD takes you through the ceremony conducted by Fr. Frank Pavone. Fr. 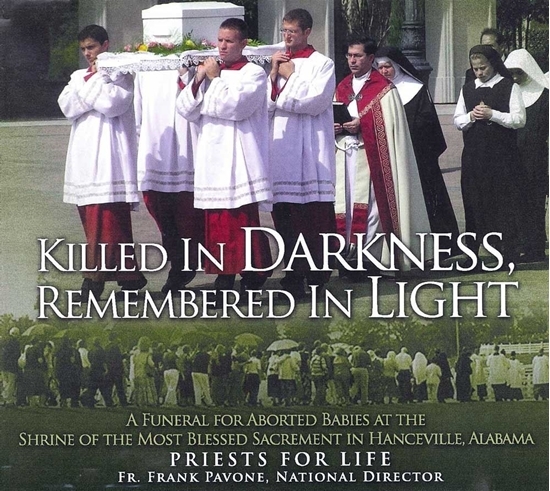 Frank will explain why such funerals are crucial in exposing the darkness of abortion..